The U.S. secretary of state said the situation is "under review." The U.S. is weighing shutting down its Cuban embassy after diplomats stationed there suffered mysterious health problems. U.S. diplomats started reporting strange sicknesses and "sonic attacks" in November. More than 20 people were confirmed injured by the phenomenon; some of them suffered hearing loss or brain injuries. Cuban officials denied any responsibility and expressed willingness to cooperate with the U.S. to get to the bottom of the alleged attack. In a letter to Secretary of State Rex Tillerson, five Republican senators wrote: "Cuba's neglect of its duty to protect our diplomats and their families cannot go unchallenged." They urged Tillerson to take action and potentially close the U.S. embassy in Havana. On CBS' "Face the Nation," Tillerson hinted at a potential embassy closure. He called the situation "serious" and said it was "under review." The embassy just reopened under President Barack Obama in 2015 after being shuttered for more than 50 years. 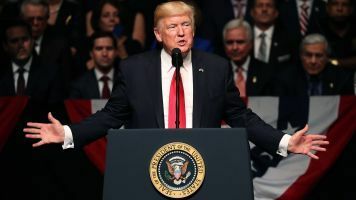 President Donald Trump is more skeptical of Cuba and has already restored several trade and travel restrictions rolled back by his predecessor. Shutting down the embassy would be a major blow to U.S.-Cuba relations.